Eye twitches occur when the muscles in the eyelid spasm. This usually occurs in one eyelid at a time, often lasting for only a few minutes. 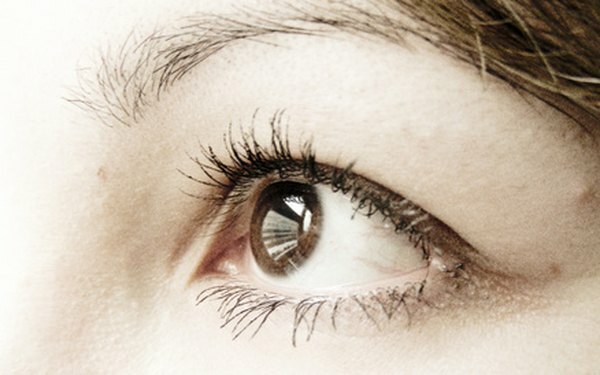 Some people may experience eyelid twitching periodically for a few days or a few weeks. Twitches that do not improve within a few days or have accompanying symptoms, such as eye pain, require evaluation from your doctor. She can help you determine if a lack of certain nutrients may cause your eye twitches. Magnesium is a nutrient with many responsibilities in the human body. One role of magnesium is to keep you muscles functioning properly, and this includes the muscles that control eyelid movement. A deficiency in magnesium could result in spasms or twitches in these muscles. Other signs of a low magnesium levels may include changes in appetite, stomach upset, weakness and seizures. On average, an adult needs between 400 milligrams and 310 milligrams of magnesium each day. Food sources include almonds, which offer 80 milligrams in a 1 ounce serving, or a baked potato, which provides around 50 milligrams of magnesium. Your doctor may recommend a daily supplement to ensure you have the appropriate amount of magnesium to help reduce eyelid twitching and prevent other deficiency symptoms as well. Doctors may not always know the reason your eyelid twitches, but they do know of some other situations that may result in the condition. These causes include fatigue, stress, alcohol consumption, smoking, eye irritation and caffeine. Your doctor can examine your eyes and discuss each of these possibilities with you to determine if any other factor may contribute to your condition. If you have eyelid twitching from a magnesium deficiency, your doctor may recommend increasing your magnesium intake, either through diet or with a daily supplement. Eye twitching that results from eye irritation may improve with the use of artificial tears, a nonmedicated eye drop that lubricates the surface of your eye. Your doctor also may recommend reducing your alcohol and caffeine consumption and also may recommend that you get more rest. If these changes do not improve your eyelid twitches, your doctor may discuss Botox injections. This treatment requires the doctor to inject a solution near the twitching muscles. This may stop the twitching, but this treatment has many potential side effects. Your doctor usually only recommends this if all other treatments fail. You may not need to see your doctor about your eyelid twitch if the condition disappears within a week or two. However, if you have other symptoms, such as swelling or redness of your eyelid or surface of your eye, contact your doctor. As well, if your eyelid spasms force your eyelid to close completely or if these twitches also involve other parts of your face, you should seek medical attention.